I was nine. It was the summer of 2002 in the early hours of the morning that the US shocked Mexico in the Round of 16 in the World Cup to advance to the quarterfinal. The excitement was electric. Nobody had expected it, but the cries of “U-S-A! U-S-A!” filled the room. It was the best the USA has ever done in a World Cup. The World Cup is a sporting event like no other. It ignites more passion than any other, and it starts in less than a week. I realized that this is only the sixth World Cup I’ve lived through and fourth that I can truly remember. The rarity fuels the competition because everyone knows that it will be four years until you get another chance. Even when it’s not my home country playing, I find myself engrossed in the games because of the electricity you can sense from the fans screaming and cheering. So even if you’re the type of person who doesn’t care for sports, or can’t stand soccer because of the sometimes slow pace and the 0-0 draws that occasionally end matches, it may be worth paying attention this upcoming month. In fact, the storylines going into this World Cup (and doubtless the many more that will emerge during play) aren’t all specifically soccer related. They are the same themes of success and expectation that we deal with every day of our lives. Last year, during the Confederations Cup (an eight team tournament which serves as a sort of dress rehearsal for the host nation), Brazilian riot police had to drive angry mobs away from the stadiums. It was a shocking sight, especially because Brazil is known for its passion for “The Beautiful Game.” However, these people were protesting terrible conditions that were being ignored by the government in favor of renovating stadiums for the World Cup. Reports have gotten worse in the run-up to the tournament for the host nation. Several high-speed rails that were promised will not be built due to time construction delays, so the infrastructure will not improve. The voices of protests have drowned out the bulldozers plowing through the favelas to make way for parking lots. Amid all of this the national team prepares for the actual games. The government counts on them to win and placate the mobs. Several people think that as long as Brazil is winning, that will keep spirits high and make hosting the tournament seem worth it. If they lose, all hell will break loose. No pressure or anything. Brazil currently holds the number three ranking in the world, but they carry the swagger of a team that is number one by a long shot. “I just can’t see us losing on our home soil. I don’t see a way anyone will beat us. We will win the World Cup,” said midfielder Oscar. The “win at all costs mentality” can be especially difficult and damaging, if it goes wrong as it often does. How Brazil handles this enormous pressure will be very interesting. On the flip side, there’s England. In 2006, they were eliminated by Portugal in the quarterfinals when Portuguese striker Cristiano Ronaldo successfully faked a foul that got English striker Wayne Rooney ejected from the match (he soon after winked to the cameras). In 2010, they earned second place in a group they should have won after their goalkeeper let an embarrassing goal through in the game against the USA. They then went on to lose in the Round of 16 to Germany after one of their goals was not counted as the referee determined it had not gone over the line (it had). Needless to say, the English have had a rough go of it lately in World Cups. Entering 2014, their team is aging. Stars like Rooney, Lampard, and Gerrard are seemingly past their prime, and the mood in the country is definitely not one of “win-or-else” like it is in Brazil. This might be exactly what the English need. Normally their team is crushed by giant expectations, but in qualifying for this World Cup, they looked like they were actually having fun–as evidenced by Rooney’s penguin dive after scoring against Poland (above). They are the opposite of Brazil right now. Their freedom to play unfettered by expectation could help them achieve something special. If you haven’t seen the ESPN “30 for 30” documentary The Two Escobars, put it in your queue. It’s a sad tale of how the drug cartels ran Colombian soccer in the nineties and how the 1994 squad, largely expected to win that World Cup, crumbled and exited in the group stage. Some players were targeted by the cartels, who had lost a great deal betting in the team, for kidnapping, and the star defender, Andres Escobar (who had scored the ‘own’ goal that had essentially eliminated Colombia) was shot and killed outside a nightclub. In 1998, the team also failed to make it out of the group stage. They failed to qualify for the next three World Cups. But now, they’re back. After a history of tragedy and failure, this team has once again revitalized its country and they are ready to play. They are ranked eighth in the world right now but got a tough draw in their group (Japan, Greece, and Ivory Coast). Sports can often be a vehicle for a community to heal. For Colombia, it has often been the opposite. This World Cup, their team is not only playing for the trophy, but for a new identity. This will be a compelling and potentially underappreciated storyline. For decades, Spain had been known as “the perennial underachievers of international soccer.” They were always a team with great potential that inexplicably exited in the Round of 16 or the Quarterfinals in every major international competition. But that all changed in 2008 when they broke through and captured the Euro Cup. They then went on to have a spectacular tournament in the 2010 World Cup and won that as well. If that weren’t enough, in 2012 they repeated as Euro Champions, and have made a case for being the best international squad of all time. 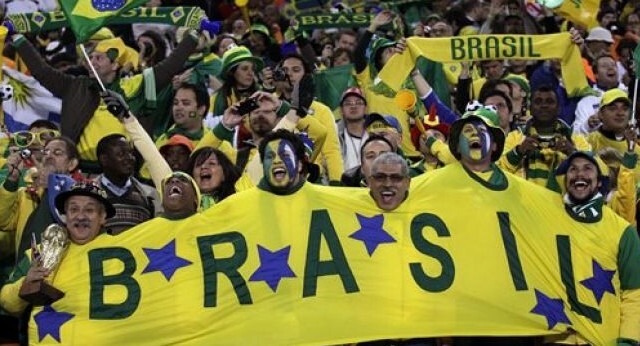 A repeat World Cup win in Brazil would certainly cement that title. But “La Roja” is aging, and this might be the last international tournament in which several key players like Xavi and Andres Iniesta play. For years Spain’s identity was the underachiever. They won a new name for themselves in 2008 and have built that reputation up. However, like Brazil now, they must win or the tournament is a failure. How long can they maintain this identity? Apart from the 0-0 draw frustration, one of the other reasons many friends of mine are loathe to sit down and watch soccer is the flopping and histrionics from so many of the players. Usually it is the most talented players who score a spectacular goal minutes after faking the world’s worst injury. We hate them, then we are in awe of them, then we go back to hating them as they perform an over-the-top celebration. They also have some of the biggest egos in the game as well. Portugal’s Cristiano Ronaldo, Italy’s Mario Ballotelli, and Brazil’s Neymar will undoubtedly fall to the ground in apparent agony, then spring up to whine to the referee at least three times each during the tournament. Some can’t stand what they see as obviously inauthentic demonstrations, claiming that it corrupts the game we love watching. But even though these players violate our laws of authenticity, they score spectacular goals that will leave us speechless. The truth is, while we may root for authenticity and talent to go hand in hand, in this tournament, often they will not. There was a groan across America in December when the World Cup draw was announced. The USA had been draw into Group G, in which all four teams had advanced past the group stage in the last World Cup. It’s a group of staggering difficulty and has been dubbed “The Group of Death.” The USA was top in its regional qualifying and looks to assert its new identity as a team that can compete with the best on the international stage. Ghana, who has knocked the USA out of the past two World Cups, made it to the quarterfinals in 2010 and was one controversial handball away from the semifinal. Germany, who is current ranked second in the world, has reached at least the semifinal in each of the last three World Cups and is widely expected to make that four, if not win it all. And Portugal is there as well. They are currently ranked fifth in the world. Each country seems to understand the gravity of the competition it is facing. The most outrageous example of this is that a prominent witch doctor in Ghana is claiming credit for Cristiano Ronaldo’s aching knee injury. There was no ‘grace’ in the draw for these four teams, but it should make for some amazing soccer. One of the first things I heard when the draw was announced was “If the USA and Iran finish first and second in their groups, then each win in the Round of 16, they will meet in the quarterfinals!” The chances of this happening are infinitesimal, but the media will salivate over the possibility anyway. The media loves to see international sporting events as a way of settling conflicts. The 2012 Euro quarterfinal between Greece and Germany was billed as the game to solve the European Debt Crisis. Shockingly, the crisis continued after the final whistle blew. No doubt you’ll hear many political stories on top of the actual soccer, but when the match starts, it’s simply two teams fighting hard for ninety minutes. It’s a competition where international conflicts can be left outside the stadium, and that’s just one of the reasons why it is The Beautiful Game. This was great. Loved the section on Colombia– glad to see they got the ball rolling against Greece. Like most Americans, I am really looking forward to the USA Ghana game; it will be great to see a fresh, young team with a chance to avenge past World Cup exits.